For many young people, the pleasures of their own hearth and home are out of reach. But they also face “unaffordable” rents across most of Britain, according to recent research. So, many are turning to radical, innovative and sometimes mind-boggling alternatives. The owners of three unorthodox homes explained why they’ve turned away from bricks and mortar. 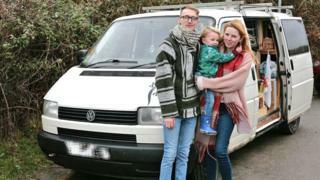 Harriet Baggley, 24, her partner, Tom Offen, 25, and their son, Ruben, two, live in a van fitted with a log-burning stove, insulation and a makeshift kitchenette. 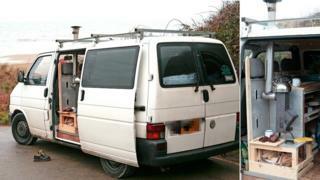 The 2008 Volkswagen Transporter 4, nicknamed “Iggy”, has been their home since they left rented accommodation in April last year. They move their home-on-wheels to different spots every few days, spending two to three nights a week at a relative’s more conventional home while helping them with child care. “Renting didn’t really sit well with us and the other option was buying a house and getting a mortgage, which is something we don’t want to do,” Harriet said. The artist and hotel worker believes her family’s nine cubic-metre digs is “massively” attractive from a financial perspective. But she admits life in such a tiny space can have its drawbacks and is certainly not for everyone. “The hardest part is probably being on top of each other and staying organized. There’s not much room to be your own person. “But we have work, we have time away from each other and we come back to a space that’s our own,” Harriet added. There is no law preventing anyone from living in a van full time, as long as the vehicle is appropriately taxed and insured. But there can be restrictions on where can you can park and spend the night, with local authorities imposing different rules and constraints. 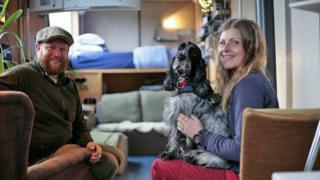 Harriet said it can be a challenge to find places to stay the night but she and Tom have their “favourite spots” where they stop for short spells. 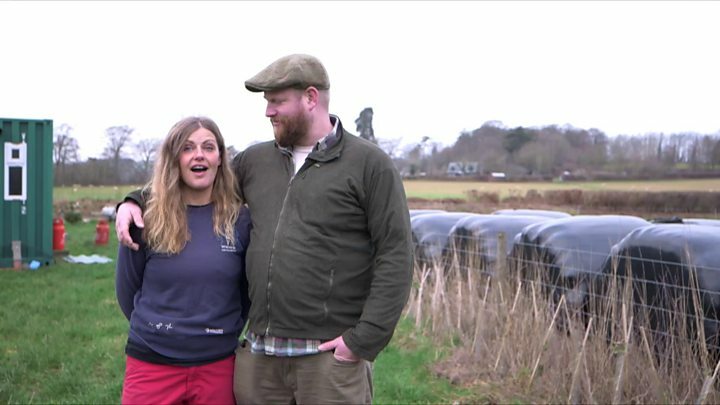 “Our long-term plan is to buy a plot of land and to possibly build a cob house – we’re not quite sure yet,” she added. 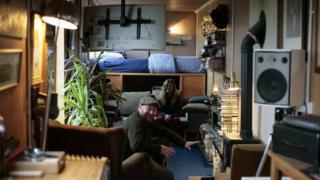 For Aubrey Fry, 37, and his wife, Clare, 34, life in a repurposed 40ft shipping container was only meant to be short term. Three years later and the steel box is still home, sweet home. The pair moved to Hay-on-Wye, where Aubrey’s family own a farm, after growing frustrated with London property prices. 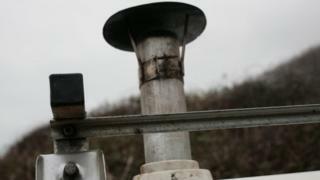 They wanted to keep their costs low, while building their new home and business premises on the land, and Aubrey had an itch to try something different. “I’ve always wanted to develop a shipping container and make it into a home,” Aubrey said. 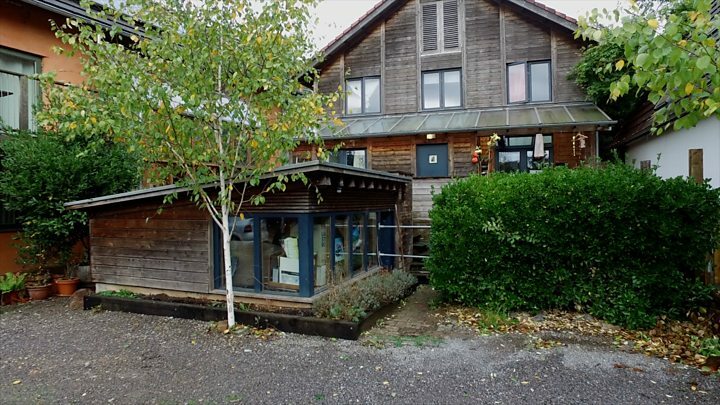 So, they bought two converted residential containers from a firm in Liverpool and located them on the farm, near to where they run their canoeing and outdoor activity business. 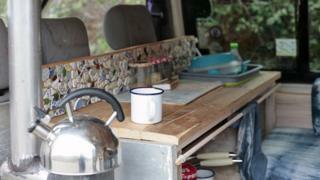 In total, they spent up to £30,000 creating the temporary homestead. “I’d have been putting that [money] into rent if I wasn’t putting it into something we could live in and have and keep. Clare said that, while the space is compact, that can actually be a good thing. “I’ve found it really good fun. A way of decluttering,” she said. But she warned anyone thinking of shipping life to consider the planning restrictions and regulations that apply to some shipping container structures. 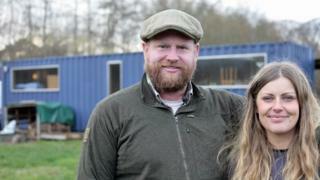 The couple are now close to moving into their new, permanent home and they plan to sell the shipping container. “It will be really sad [to see it go], but hopefully it will have a new life somewhere and be just as useful to someone else,” Clare said. Tom Dutton, 30, is a free-wheeling surfer. So it should be no surprise that he wants a drag-and-drop home; one he can pull on wheels to different spots and set down. Something he can build himself. Something cheap. Something tiny. 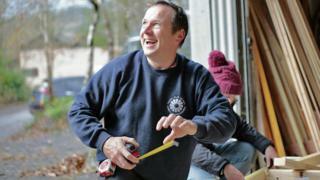 The construction worker is learning how to build a “tiny home” – something that is becoming increasingly popular – via short courses run at the Centre for Alternative Technology (CAT) in Machynlleth, Powys. “A big part of it is the financial freedom that comes with having a tiny home,” Tom said. Aside from catching waves, this includes “helping others” in his free time. Of course, a tiny home builder still needs a plot of land and they need to adhere to planning regulations. But Tom, who lives in Porthleven, Cornwall, is hoping to build his moveable digs, mount it on a trailer and then move it between his friends’ smallholdings. 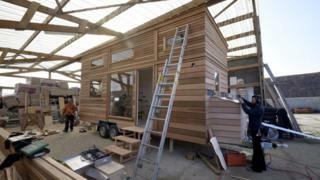 He hopes to spend £10,000 to £15,000 to build the self-contained unit within the next 12 to 18 months. Right now, he believes owning a more conventional home is simply out of reach, having only just worked himself out of his university debt. He said: “We’re living in uncertain times – no-one’s got a clue what’s going to happen after Brexit or if we have another financial crash. Media captionCould you live in a tiny house? The tiny homes movement is growing in popularity in the UK – having gained traction in the United States – with the outlay for these diminutive dwellings coming in as low as £2,500. 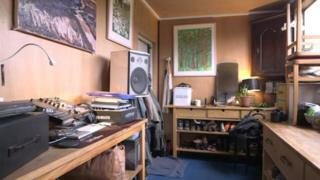 People living in tiny houses say they are reducing their energy costs as well as their carbon footprints. 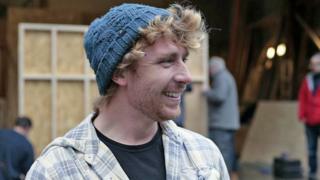 Carwyn Lloyd-Jones, who teaches the “tiny homes” building course at CAT, said it had certainly attracted younger people looking for a cheaper alternative. “It’s because they want to have that space to live in, but they are not necessarily able to afford that plot of land to build a full-size house,” he said.